Photo courtesy David Bellel1959 Little League: David Bellel, middle row, second from left. In the second part of a two-part story, Mary Reinholz speaks with some former residents of Knickerbocker Village. According to some former residents, free speech became muted at liberal leaning Knickerbocker Village with the onset of the cold war with the Soviet Union, the United States’ former ally against Nazi Germany. During the height of anti-communist fervor, tenants shied away from joining the National Committee to Secure Justice for the Rosenbergs, which author David Alman and his wife Emily helped to co-found while they were living at KV. David Bellel, 64, a former classroom teacher and retired social studies coordinator for District One on the Lower East Side, lived at Knickerbocker Village from 1952 to 1964. He was an only child, the son of a garment worker. Because his father didn’t belong to any political group, young David wasn’t always aware of the fear that gripped his friends’ parents during the communist hunting years of the Cold War era. 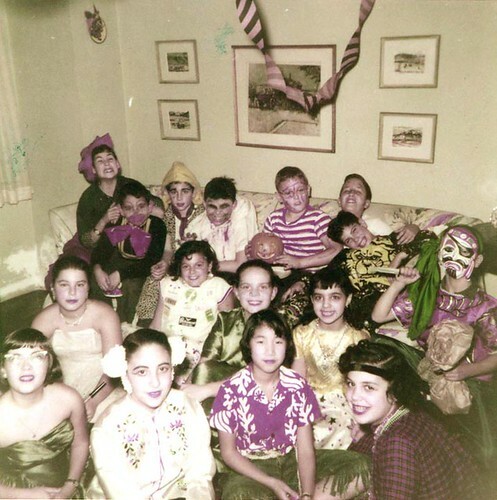 Photo courtesy David BellelHallowe’en 1959: David Bellel in red bow-tie.